The Modelling News: Masterbox gone to the dogs? 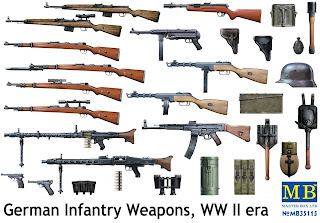 That's not the message we got! This kit includes pretty much every weapon your self-respecting German soldier might carry in battle – The plastic is one sprue which includes one sprue with most of the weapons of German Infantry in the WW II era. 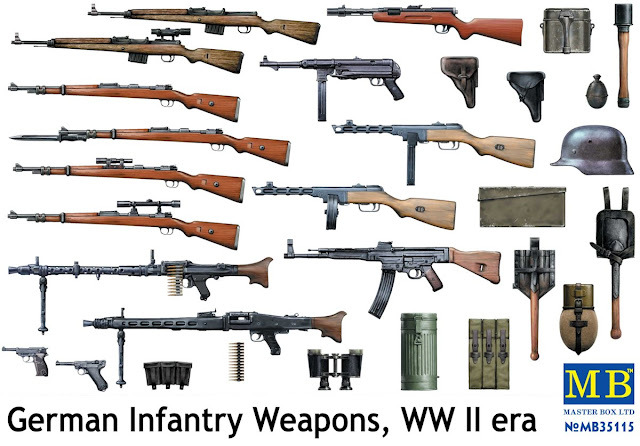 MasterBox have included in the kit a couple of unusual weapons, they are Bergmann MP-34 Submachine Gun and German modification of Soviet Submachine Gun PPSH-41 МP 717 (r) which should please those modellers who want something different ( all of us?). 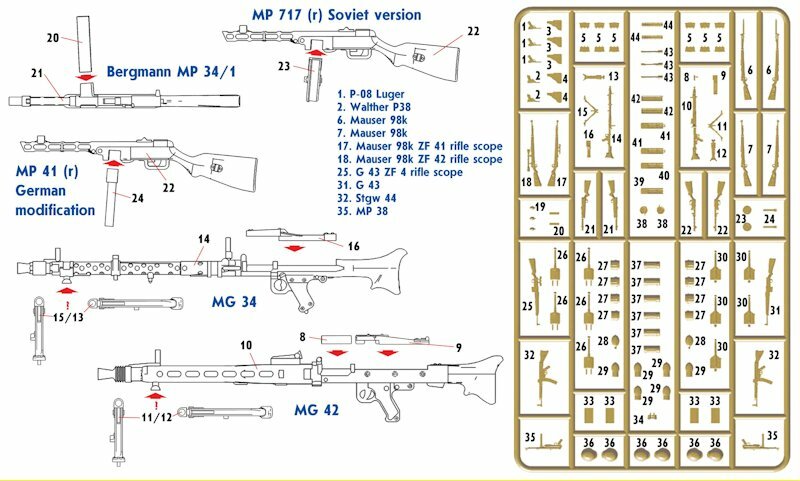 This kit also gives the modeller has the opportunity to assemble the German and Soviet version of PPSH Submachine Gun at his choice. 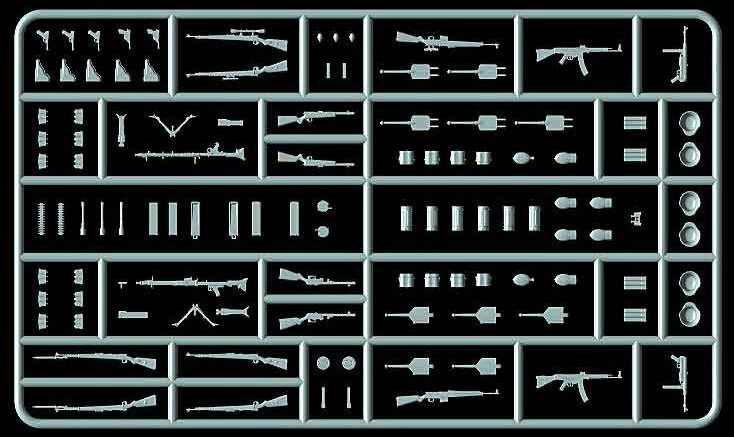 Besides weapons, the kit includes also elements of equipment – pouches, cases of gas masks, machinegun belts, shovels, helmets and so on. 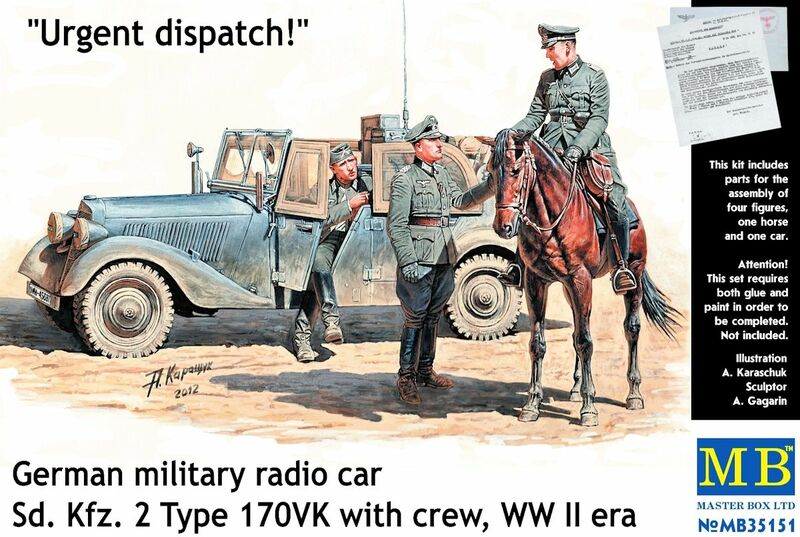 MB 35151 "Urgent dispatch. German military radio car Sd.Kfz. 2 Type 170VK with crew, WW II era"
This kit includes the sprues with parts for assembling the German military version of the Mercedes 170 VK which is seen here with a field radio mounted on the rear. 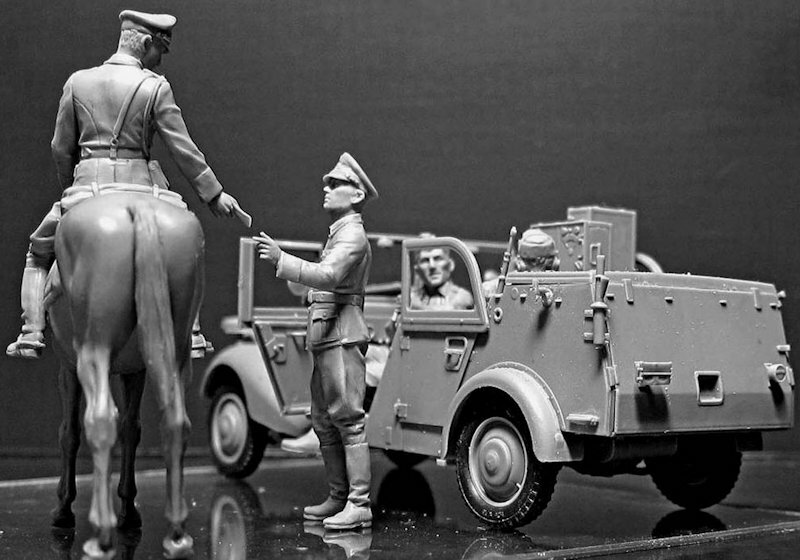 The car’s occupant are handing an urgent message to their dispatch rider who is mounted on a tall steed. 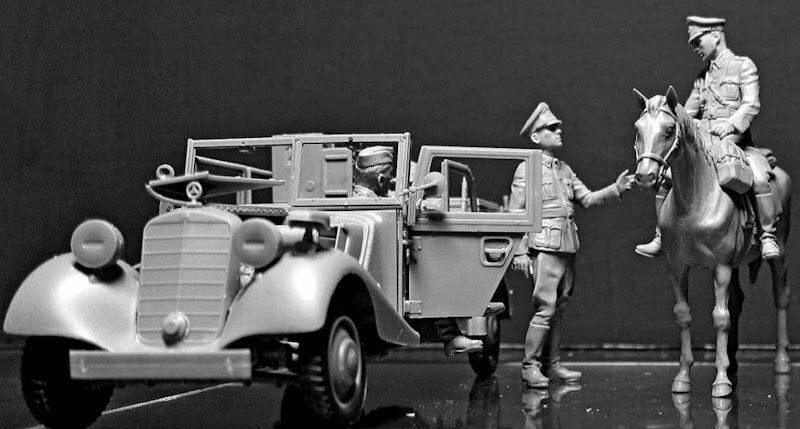 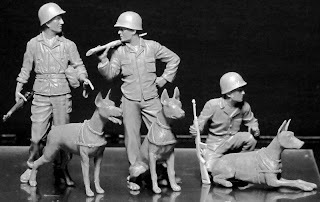 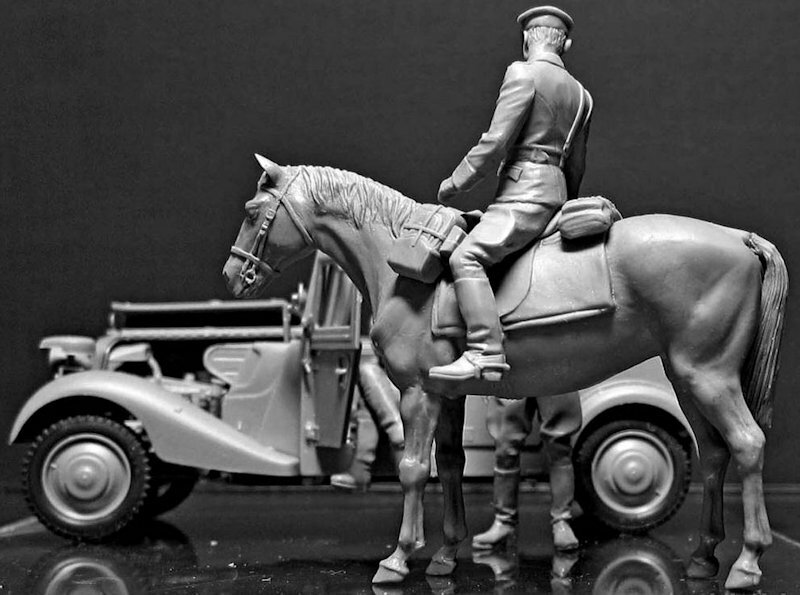 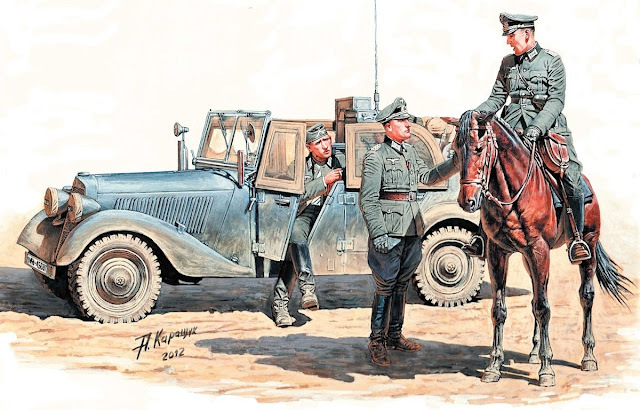 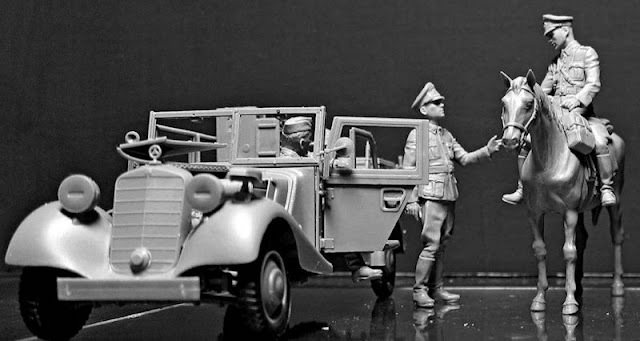 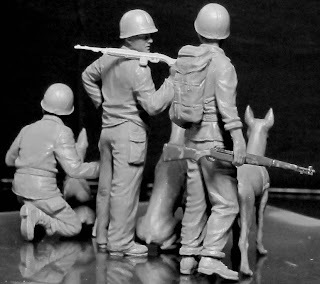 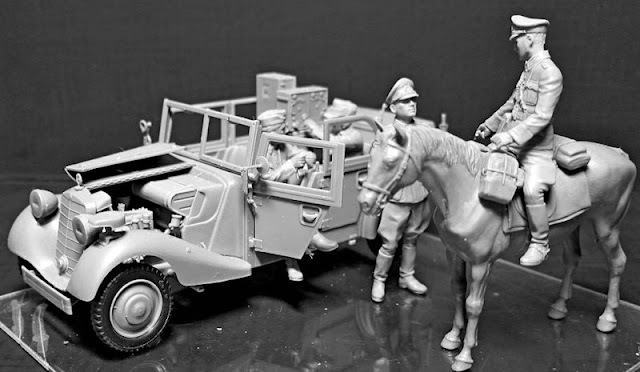 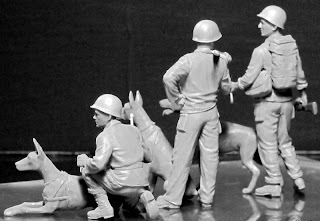 The sprues contain the figures of 4 German military men and a horse, the crew of the car consists of military officer, radio operator, driver and cavalry courier and the officer’s aide. Gone to the dogs indeed! 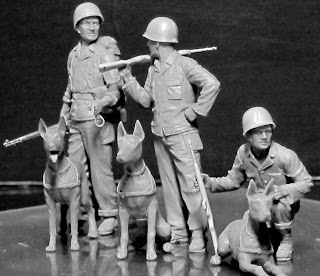 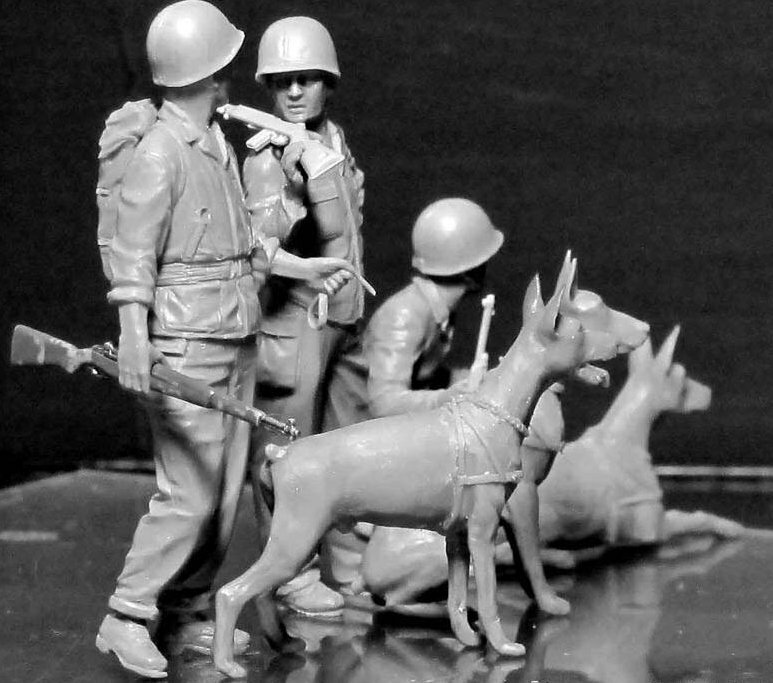 - this kit includes one sprue with parts for assembling figures of 3 Marines and of 3 dogs. 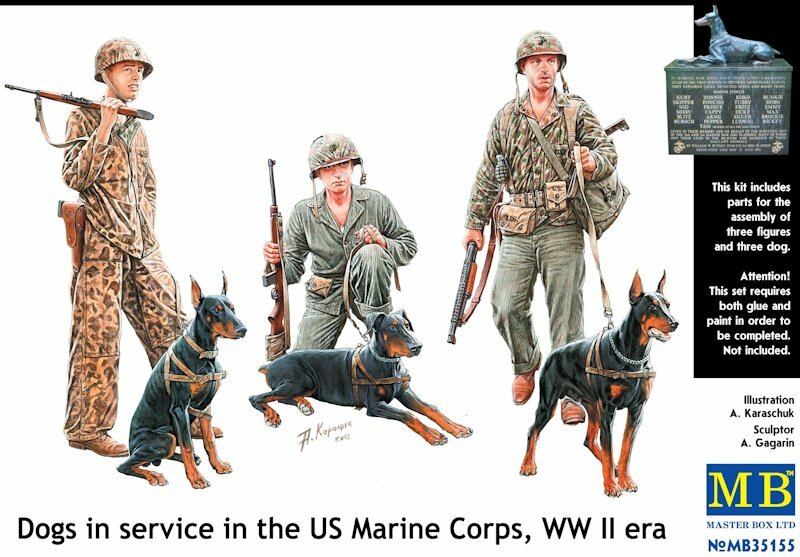 We would like to emphasize especially that dogs of different breeds were used by the US Infantry widely in fights in the Pacific Ocean, but Marine Corps used only breed of Doberman. 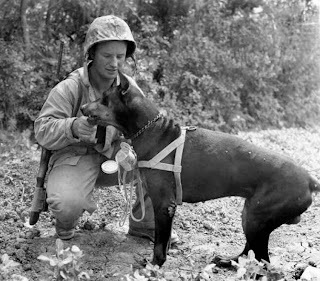 You can see here that these soldiers really valued these dogs in their fight against the Japanese in the pacific – they did sterling work clearing out the caves and places you would not want to send a man into. 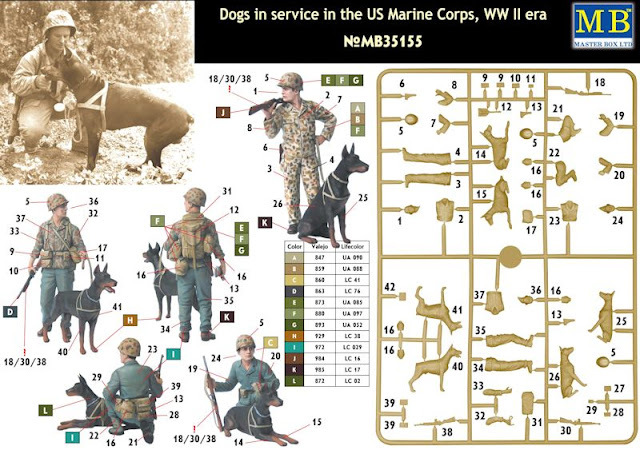 This kit represents the likeness of both the marines and the dogs pretty well we think.